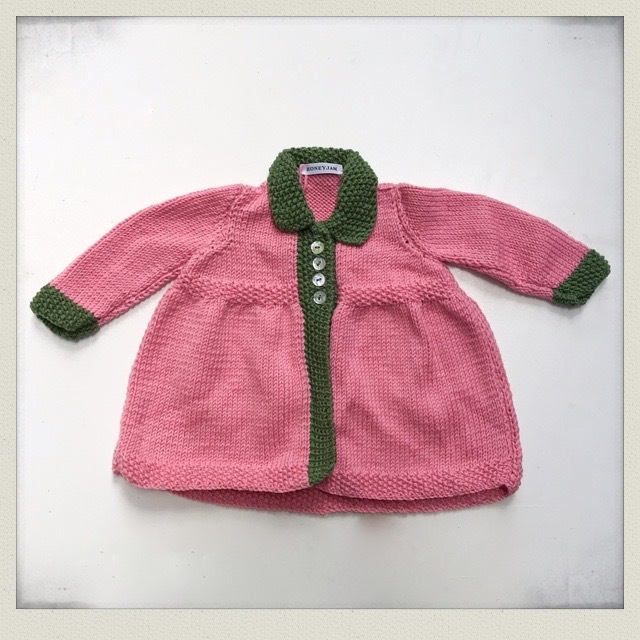 Handknit pink pram jacket with green collar, lapel and cuffs in the softest merino wool. Contrast stitching detail and five mother of pearl buttons.100% merino wool. Handknitted in the UK. Handwash only.